This website has been created to spread the word about the band TRANSATLANTIC. We think they are fantastic, unlike any other band around. But as a band they have never performed in Japan. In order to persuade TRANSATLANTIC to come, we are asking those who are interested to send their messages to the band. Please click "petition" tab to submit your support for Transatlantic Japan tour. New Album "Kaleidoscope" Now Available! TRANSATLANTIC is a Super Rock Group!! A truly illustrious collection of amazing talent that push the barriers which redefine the meaning of a "Prog-Rock" Super Group!! Pedal Steel Guitar on "Beyond The Sun"
III. "Lost And Found Pt. 1"
IV. "Temple Of The Gods"
II. "Hanging In The Balance"
III. "Lost And Found Pt. 2"
VI. "Stranger In Your Soul"
"Stranger in Your Soul" & "Duel With the Devil"
Sax on "Duel With the Devil"
Background Vocals on "Duel With The Devil"
VI. "Full Moon Rising (Reprise)"
II. "In The Autumn Of My Madness"
DVD filmed and recorded at the E-Werk in Cologne, Germany on March 9, 2014. Audio CDs recorded live at 013 in Tilburg, The Netherlands on March 13 and 14, 2014. 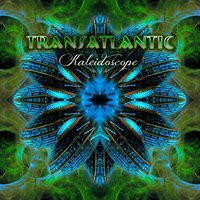 All songs written by Transatlantic and published by Transatlantic Publishing. Copyright 2014.